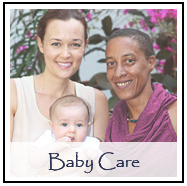 Baby Care teaches you how to give your newborn a bath, as well as how to give your baby a gentle and nurturing massage. Invaluable breast-feeding tips are given. Instant MP4 digital download of the Baby Care DVD.